Whether you have oily, dry, ageing, blemished or enlarged pores, there is a medical skin peel that will suit you. Before we begin any treatments, our qualified Dermal Clinicians will complete a skin analysis. A range of medical skin care can then be prescribed for you, using Osmosis, CosMedix, Results℞ and SkinCeutical products. These ultra-high quality products may be used with your current skin care regimen, or combined with other therapies available at Dermal Aesthetics Medispa. The range includes high potency antioxidant serums, lightening agents and specialised moisturisers, including physical sunblock’s. The CosMedix™ and Results℞ Peel Range is a new generation of prescription products that deliver medical strength skin peels. They have been formulated as a chirally correct product for maximum efficacy and safety. 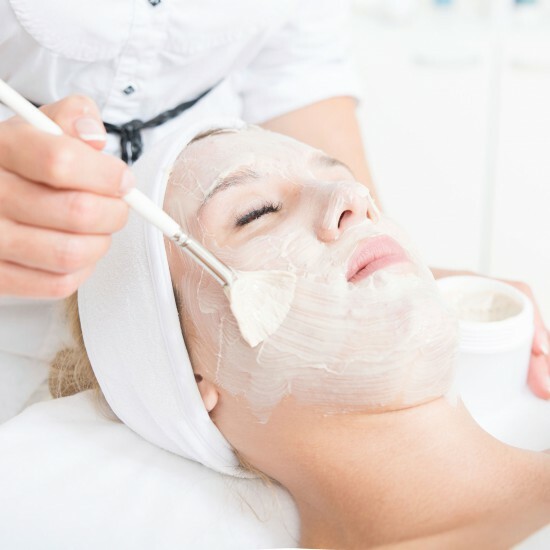 There are a range of peels and skin treatments to suit all skin types. All skin types can benefit from the CosMedix™ Pomegranate Peel. If you have dry and dehydrated skin, this is a peel that has been developed with you specifically in mind. The use of some of nature’s most powerful antioxidants including pomegranate and red wine resveratrol are included in this treatment. This gentle lactic acid treatment clarifies and corrects superficial skin concerns. If you would like excellent results, you can achieve this by combining this peel with an epidermal levelling treatment. The CosMedix™ Benefit Peel can also help all skin types but is specifically tailored to help people with sensitive and menopausal skin. This treatment is a powerful antioxidant peel which delivers vital nutrients into the deeper layers of the skin. This peel can be perfectly combined with Laser Genesis for an overall fantastic result for your skin. Suffering from fine lines and wrinkles? Or maybe sun damage and acne has ravaged your skin? The CosMedix™ Timeless Peel will feel like time has been turned back with this peel providing increased skin cell turnover stimulated by this “L-retinal A” peel. Your skin will be smoother and firmer. For an overall polished look, combine this treatment with Laser Genesis. If you are seeking an herbal (non-chemical) peel, CosMedix™ Deep Sea Peel is the treatment for you. The use of mineral rich marine actives to penetrate your skin from superficial to medium (dermal) depth is the amazing in correcting skin inconsistencies. This stimulating peel is perfect for impure and acne scarred skin in addition to those with premature aged and sun-damaged skin. We are all prone to photo damaged skin. Exposure to sunlight and resultant damage can occur even if you don’t intentionally lay in the sun for a tan. The Results℞™ Benefactor Peel is a great option for those with the many signs of sun damage. It is easy to see how blemished and aged skin can also benefit from this fantastic peel. This peel is a non-wounding resurfacing treatment which exfoliates your skin, softening and brightening your complexion. If you have blemished, oily, reactive skin with enlarged pores, you will want to give your skin a detox. And what better way than with the Results℞ D-Tox Peel. This soothing, exfoliating peel is excellent for all impure skin conditions. The Results℞ Timeless℞ Peel is a treatment that is perfect for all Fitzpatrick skin types. Other conditions that would benefit from this type of treatment include hyperpigmentation, melasma, sun-damaged and prematurely aged. This successful treatment uses AGP complex resulting in smoother, denser and more hydrated skin. Looking for a unique treatment that does not use chemicals? Why not try Osmosis™ Facial Infusions, a non-chemical treatment that has been customised to treat all skin types. If you have acne, aged rosacea, and pigmentation, these conditions can be treated successfully depending on the powder actives chosen. This exceptional treatment avoids damaging the epidermis by penetrating several high dose active ingredients into the dermis through liposomal delivery. Regardless of your skin type or skin condition, contact us today to discuss your options for a medical peel to leave your skin feeling fresh, flawless and polished.